How to integrate Pipedrive with Woodpecker? 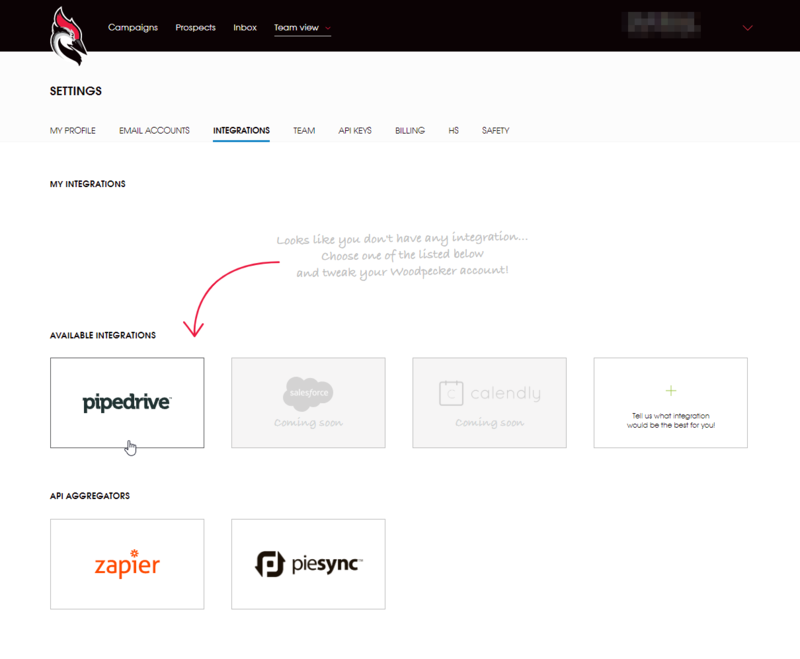 Thanks to our native integration with Pipedrive you're able to sync email clicks and opens straight from Woodpecker to the CRM. Wanna learn more? Head over to our blog to read about the benefits and what our native Pipedrive integration can do for you. How does it look like in your Pipedrive account? 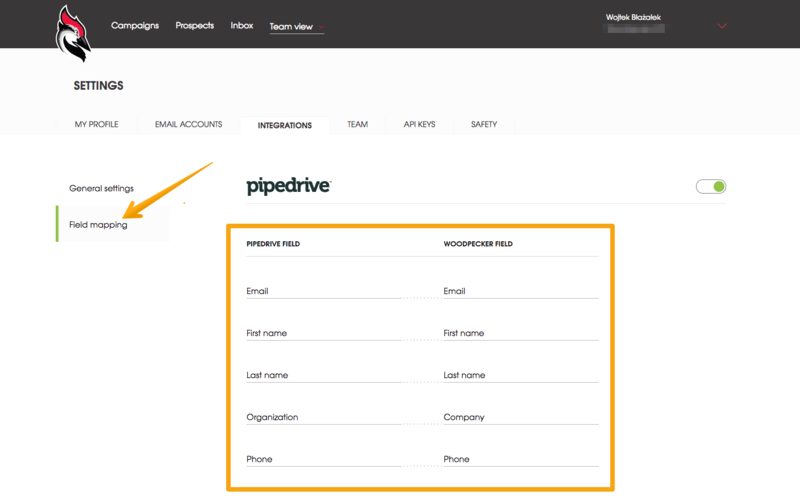 Adding a prospect to Woodpecker automatically creates a new contact in Pipedrive, transferring all the corresponding data. All emails sent from Woodpecker to a particular prospect are shown in Pipedrive. You can see if your emails were opened or replied to. All the replies (also the auto-replied ones!) registered by Woodpecker are assigned to a particular contact in Pipedrive. The content of both a sent message and reply can be seen in Pipedrive. Your message got bounced or your prospect was invalid? 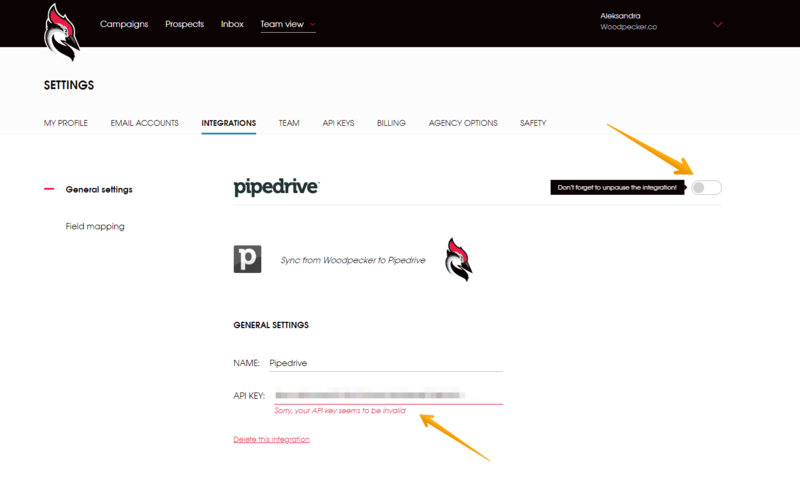 Now you can check it directly in Pipedrive on your contact's page. Here's the instruction on how to integrate your Woodpecker account with Pipedrive. Once you're transferred to a new window, add the API key and click ' Continue'. 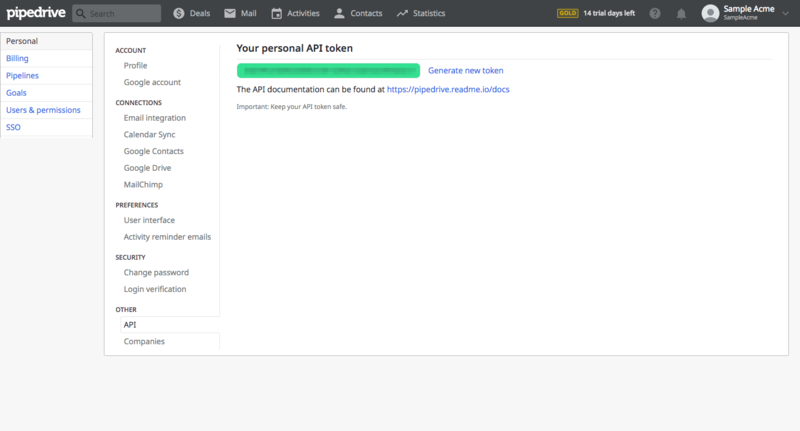 If you don't know how to get your API key, click 'Get instructions' and see point 3 below. Not sure how to get an API key? Read this. Finish the integration by mapping default Pipedrive fields with the Woodpecker ones. These fields can't be edited. Success! Your integration with Pipedrive is now working. You can always switch it ON/OFF using the button in the right-hand corner.
' 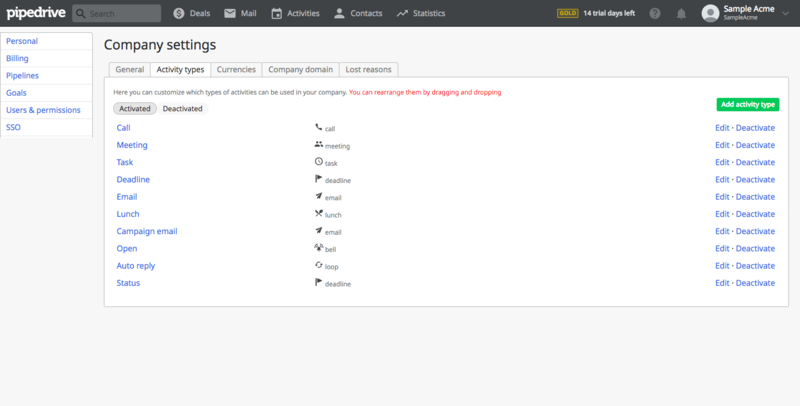 Company settings' will show you new activities, for example 'Campaign email', 'Open' or 'Status'. 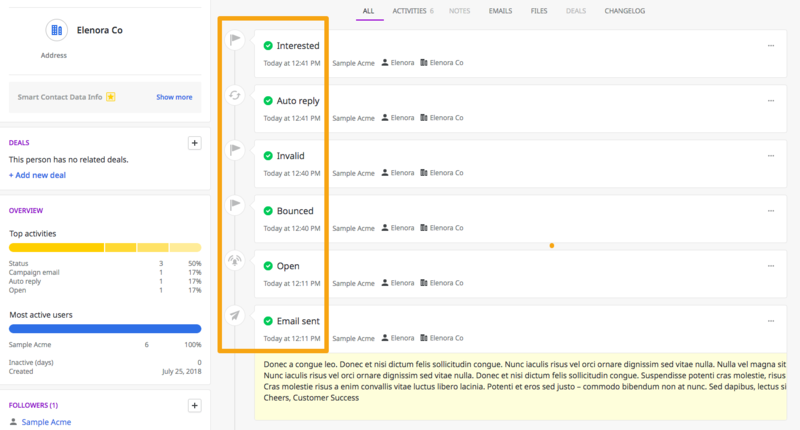 Contact tab allows you to see which emails were sent to your prospects and how their replies looked like. Besides their content, you can see if they were opened, replied to, etc. Woodpecker automatically transfers also bounces, auto-replies, and statuses. At times, you may notice that your integration gets paused due to an invalid API key. Please insert the valid API key and unpause your integration. Have any comments or suggestions regarding our integration? Write to us. integrations@woodpecker.co!